For mobile games, an important factor for increasing retention is sending relevant notifications. From the App to the user, alerting them of rewards waiting, or if they’ve received a new game request spurs repeat visits. 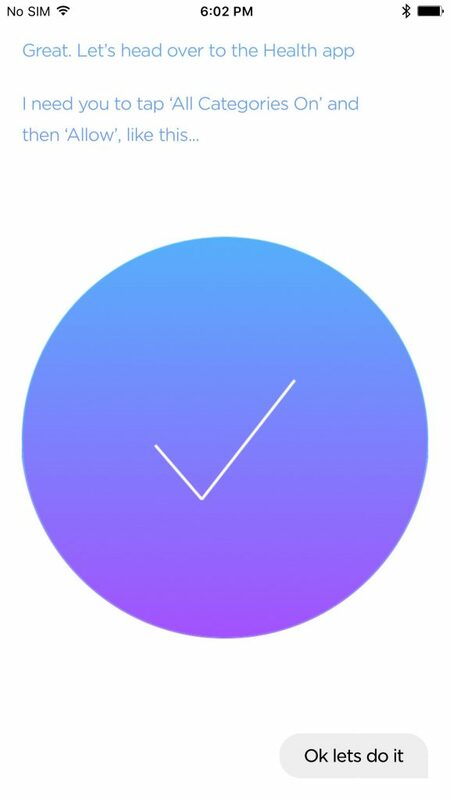 These are our opt-in best practices for iOS Apps. AC+A has previously written about the importance of gathering permission to send notifs from your users, because developers are not allowed access to this channel without getting explicit permission. Specifically, sending notifications on iOS is especially tricky, and users are particularly sensitive to spam–completely understandable, if you’ve ever spent much time clearing out useless notifications–so opt-in rates have gone down for prompts shown with little or no context. In this article, we’ll examine some of the best practices for permission gathering. You’ll notice a common trend–they clearly articulate why the permissions are necessary for the app to function, and do so in a very user-friendly way (usually). We’ll be highlighting how apps from all categories can get notifications that their app needs, and for game developers, you will be able to take away the best practices in terms of messaging to apply to your own games and apps. One way to gather permissions for notifications is to wait for the user to see the option themselves. For them to see relevant updates, using options in a settings menu, and to trigger the prompt after the user decides to try them out. In this way, developers can find a very high opt-in rate. The downside, however, is that since the option is buried a few levels deep, you will have less total people seeing the prompt/option. A best practice example for this is the weather app Dark Sky, which sends real-time alerts of changing weather. 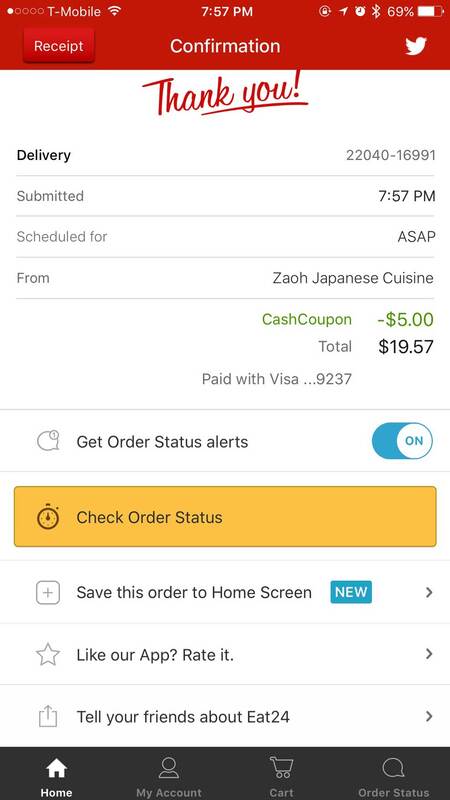 Another example of this is in the Eat24 app, in which a user has already placed an order to be delivered to their home or apartment. They see an option to track and be notified of delivery updates. 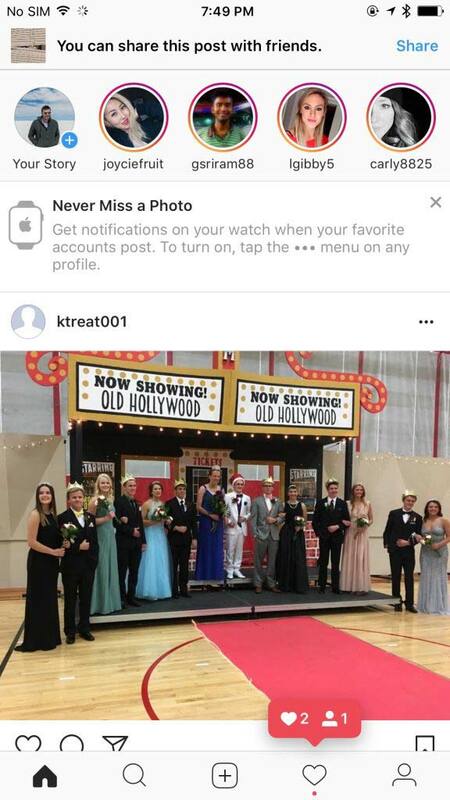 If they select this, the notification prompt is shown to them. This is similar to the settings flow, since it’s completely user initiated. In this example, we see that Facebook has offered to help users find public wifi networks while they are on the go. However, in order to do this, the users need to allow permissions for the app to constantly have access to the user’s location; essentially trading this wifi feature for the ability to constantly know the location information. 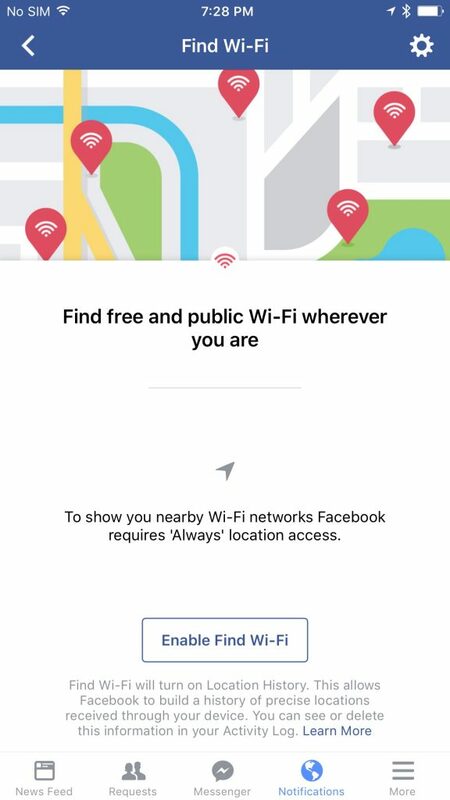 Facebook is clearly using this information for other parts of the app, and may have designed the wifi-finder feature purely to help entice more users to grant location permissions. 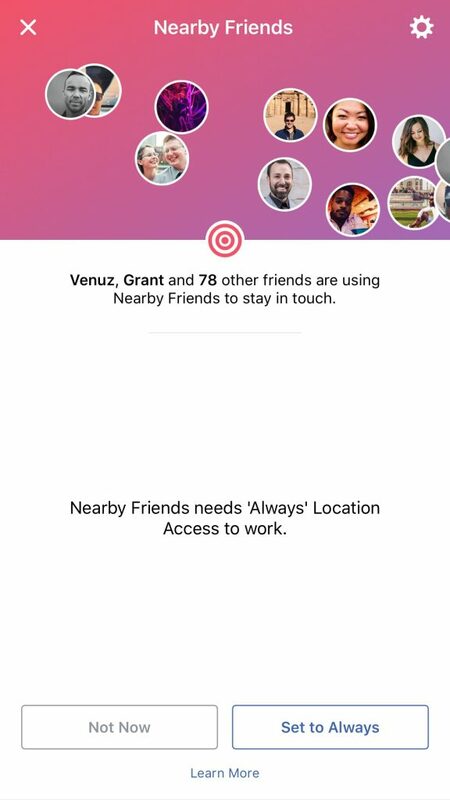 One feature that needs permanent location is the Nearby Friends feature, shown below. 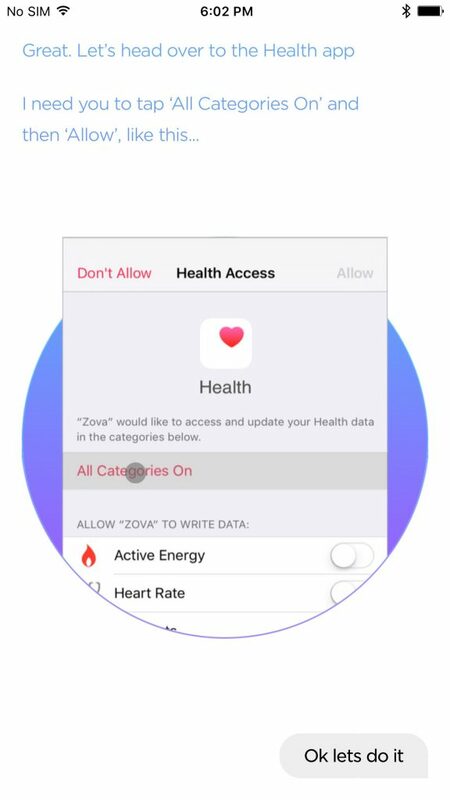 The tricky thing with health permissions io iOS is that the user needs to get into the settings of their iPhone to be able to grant the app access to steps, heart rate, and other health related data that the iPhone or Apple Watch collects naturally. In the app Lark, a fitness coach app that helps users analyze this information, their system needs the user to do this or else it doesn’t offer anything of use. They showcase a screenshot of what the settings page looks like–this helps ensure the user knows what it looks like, and adds a very important layer of instruction to a tedious task. This part of the tutorial does not proceed until they have successfully done this, as you can see from below, showing that Lark knows it becomes useless if it isn’t granted the permissions to crucial data. The app Pacer–another fitness related application–needs access to users’ health data. In their pre-prompt, they make the dialog appear to be a system message first, priming the user to complete the next step. Developers have the ability to determine if you have notifications enabled or not, which can be used to resurface the permission requests to engaged users even after they have opted out. The example below is for Instagram, in which periodically resurfaces a toaster reminding users that they can stay up to date with their favorite channels by enabling the notifications permissions in the settings menu of their iPhone. Short and concise instructions remove friction from potential misunderstanding, and the verbiage used adds clear value to turning the setting on. Users are sensitive to the term “notification,” particularly because it bring backs memories of Farmville-style notifications they’d received on their Facebook news feed. A best practice for app notifications is to be able to frame the permissions prompt as something more valuable, so that the user understands the value of granting permissions. 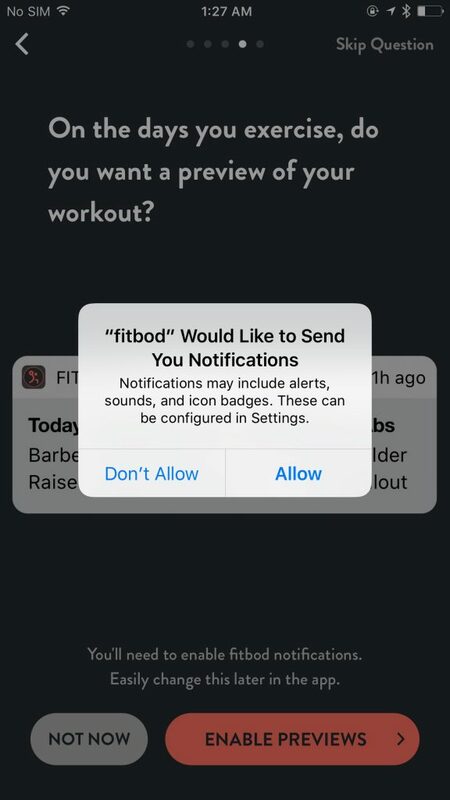 For example, in the app FitBod, the developers frame the notifications they will send as “previews” of the work out that are going to be sent prior to their workout. Another example is the Amazon app. 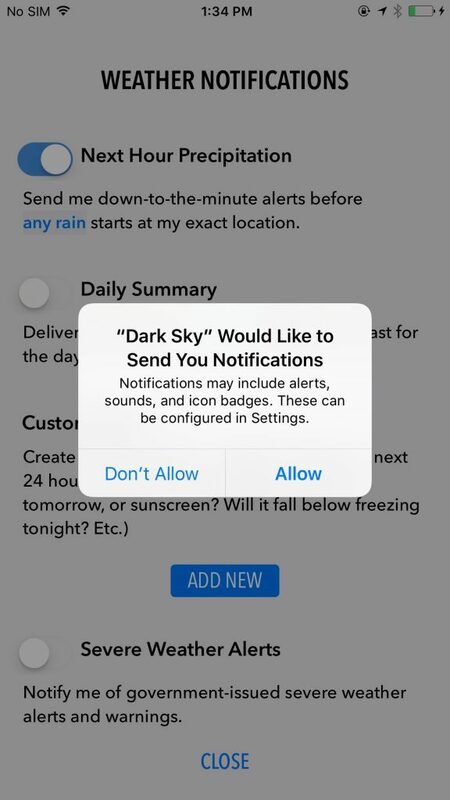 Where they tailor the messaging to state that they use “smart notifications,” which implies that they will only notify the user if it is hyper-relevant to them. As a reminder, for iOS notification permissions, the developer is only able to ask once. That means that they will need to only show the iOS native permission prompt when they are certain that the user will accept it. 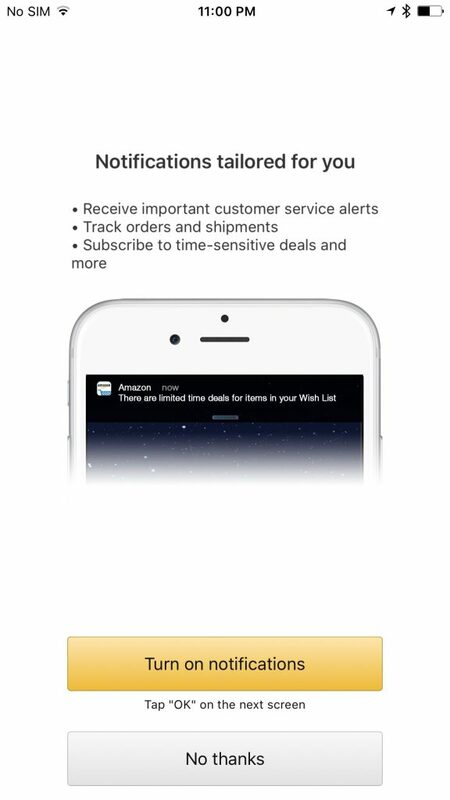 Amazon showcases that the notifications are important and time-sensitive. So if the user selects yes, they will select yes to the iOS notification prompt as well. Similar messaging is sent for the Spark email notifications. As granting the notification permission is very important for email clients to work properly. Another type of permission that is needed for certain apps is the ability to access the keyboard. For these apps–often GIF keyboards or swipe keyboards–the need for the user to grant permissions is critical. If denied, the app will not function as intended. In this case, these apps need to be very clear as to why it’s crucial for them to grant permission. While also informing them exactly how to do so. Google’s Swipe keyboard is a great example of this, shown below. Game or an app developer, you will likely need permission from the user to be able to access system features. From notifications, to health data, it’s important to clearly declare what the value is. To assure them that you are only using the data to provide extra value. 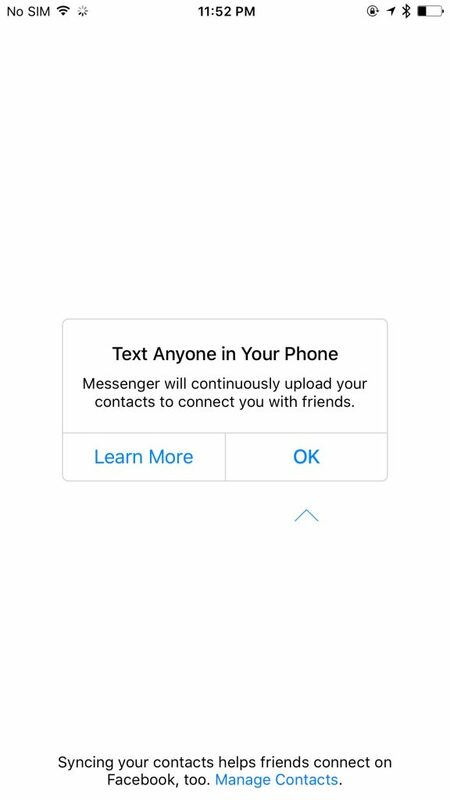 Some applications will not work without the permissions, and in that case, extra care is required in the messaging. Regardless, the days of simply prompting for permissions at the first time the user launches the app are long gone.